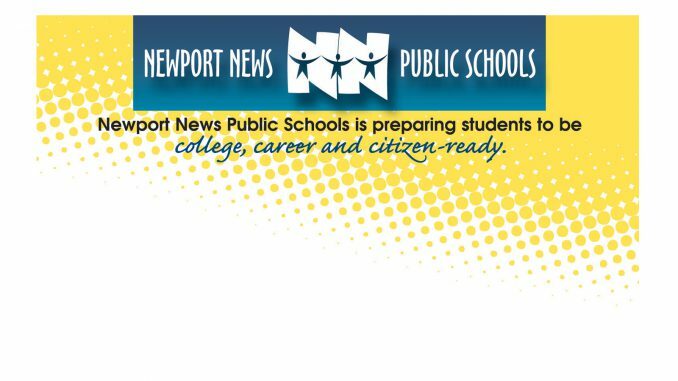 Newport News Public Schools (NNPS) has been awarded a $1 million Department of Defense grant to implement the National Math and Science Initiative (NMSI) College Readiness Program in three NNPS high schools: Denbigh, Heritage and Warwick. 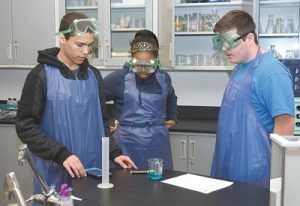 Denbigh High School students conduct an experiment in the lab. The NMSI grant aims to increase the number of students taking and excelling in college-level math, science and English classes with an emphasis on traditionally underrepresented students. The grant, which serves schools with military-connected students, will fund training and online curriculum resources for teachers and study sessions, classroom materials and Advanced Placement (AP) exam fee subsidies for students. Recognizing the benefits of AP coursework, NNPS encourages all students to prepare for and take at least one AP class. Studies show that AP courses move students towards a higher level of preparedness for success after high school. AP courses help improve writing skills and problem-solving techniques, develop good study habits for engaging rigorous coursework and provide students with a greater level of depth and detail in subject areas. 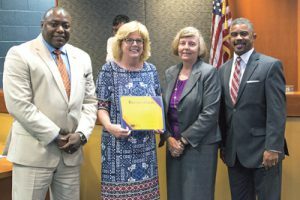 Newport News Public Schools has earned an award for financial management practices and transparency from the Association of School Business Officials International (ASBO). ASBO awarded the school division a Certificate of Excellence in Financial Reporting for its comprehensive annual financial report for fiscal year 2017. 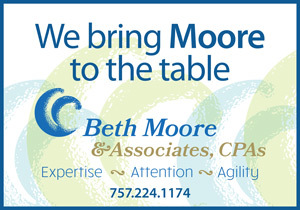 The NNPS Business Department was recently recognized for earning an award for financial reporting. Pictured left to right: Dr. George Parker, superintendent; Kimberly Powell, accounting analyst; Mary Lou Roaseau, assistant superintendent; and Gary Hunter, school board chairman. The Certificate of Excellence in Financial Reporting is the highest recognition for school district financial operations offered by ASBO and is only awarded to school districts that have met or exceeded program standards. The report is recognized for providing a variety of information including financial statements, supporting schedules, statistics and narrative explanations. The awards program is designed to encourage school districts to provide the public with a fair presentation of all funds and financial transactions. Newport News Public Schools is one of 553 districts across the country to earn this award. This is the eighth year that the school district’s comprehensive annual financial report has earned this award.